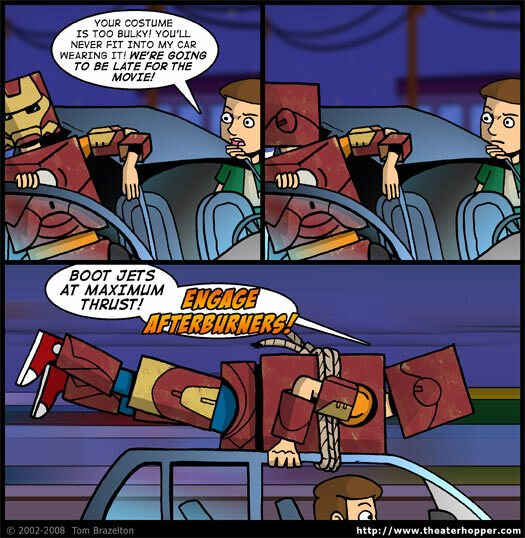 Your costume is too bulky! You'll never fit into my car wearing it! WE'RE GOING TO BE LATE FOR THE MOVIE! BOOT JETS AT MAXIMUM THRUST! ENGAGE AFTERBURNERS!